If you've been reading this blog for a while, you know that I'm an absolute sucker for ANYTHING with wheels and that I'll ride whatever I can get my hands on. As a result, I've recently bought a Razor Power Core E90 to move around my new garage (I owe you all a walkthrough, it's massive :D) just cause I'm a big kid. It was one of the top recommended budget scooters everywhere so I went for it. Review coming soon. When you’re buying your first electric scooter, it’s important to search for a list of great electric scooters to narrow down your choices, which Is exactly what I did and I do for this blog the whole time lol. Each scooter is made differently, with varying specifications and sets of features. 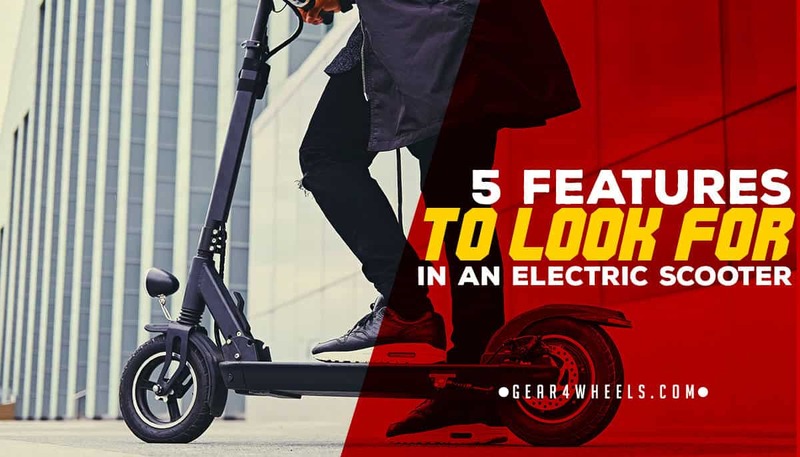 Knowing what to look for in an electric scooter will save you a lot of time and effort going around shops. Depending on how often and how far you plan to take your scooter with you regularly, consider the mileage capacity of a certain unit. It all depends on the battery the scooter is equipped with. Some models can run 20 miles on a single charge of 12v39ah batteries. Some can go farther without the need to recharge. The average electric scooter would have a power of 250W, and can run 70k on a full charge. If you’re comfortable with that performance and wouldn’t mind waiting 6 to 8 hours to charge your scooter, then you wouldn’t have a problem with mid-range scooters. When looking at electric scooters, get a complete feel of the product by sitting on the saddle and feeling out the controls and switches. Comfort is very important even if you’re just riding it for a few miles. Make sure the saddle is soft and wide, and the suspensions are high-grade to ensure smooth rides. If you want, you can even upgrade your seat to shock-absorbent posts for maximum comfort. Generally, electric scooters are incapable of running at high speeds. Regular scooters can run from 80 to 100 Kph, but an electric scooter with 250 W power can only run at a maximum of 25 Kph. This speed is enough for you to go around the neighborhood without the need for a helmet, though of course it’s still highly recommended to be protected. Electric scooter wheels are usually made of lightweight alloy hubs and aluminum rims. Depends on the size of the scooter you’ll get, it’s best to upgrade your tires to branded ones with better quality rubber. As for the chassis, even though it’s just the outer look and doesn’t really do anything much functionally, it’s important to choose a scooter with a strong and sturdy body, something like aircraft-grade aluminum. Not only does it look good, but it’s strong and durable too. When checking out a scooter, make sure the controls and indicators are conveniently located at the left handle bar. Check where to press the horn, how to turn on the headlights, where to flip the turn signal and so on. Make sure they’re working and are accessible. Also look at how the lights are positioned and how bright they are. Make sure the headlights and the tail/brake lights are working because they enable saver travel. Electric scooters truly have a lot of advantages over conventional ones. For one, they’re highly economical because you don’t need to buy petrol. They’re also totally pollution-free as they don’t emit harmful greenhouse gases. When you own an e-scooter you’re exempt from road tax and there’s also no need for insurance too. If your power is 250W and below, you’re not required to get a driving license and wearing a helmet isn’t mandatory.